Our home is a thirty acre paradise of greenery sitting on the outskirts of Columbus Ohio, where we have been working hard at our craft for 30 years - streamlining not only our efficiency, but actively reducing our environmental footprint. It is the bounty of the earth that allows us to do what we do - here at Foertmeyer & Sons, we take this idea very seriously and aspire to adopt every advancement in science that allows us to lessen our impact on the environment. This is why we have taken very deliberate steps to implement any clever methods that allow us to work with nature instead of against it! We are proud to share with you the industry changing techniques and products we use to stay on the cutting edge of GREEN! We use unique, meticulously formulated, plant-based fertilizers. 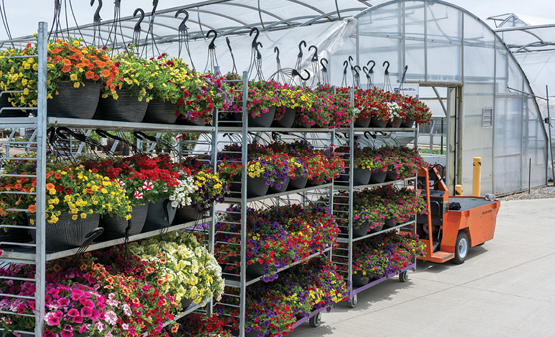 We also employ precision watering techniques that allow us to save on water waste and fertilizer runoff. Not only do hoses water each individual plant directly, but any water not absorbed by the plant and soil is recaptured and recirculated. We prevent diseases and protect crops safely with biologically-based products. These ‘biologicals’ use living organisms to colonize and combat harmful diseases. We use superior, biologically based insecticides - many of which utilize living fungi as their active component (these are called Mycoinsecticides!) We even use tiny wasps to take care of aphids, and these predatory mites eliminate harmful thrips! 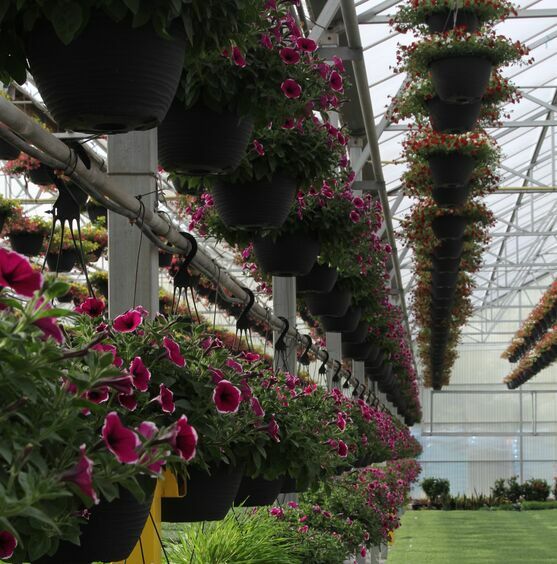 Check Out Inside Our Greenhouse!